Sinai (Reform) Cemetery, Kimberley Rd, Leeds, ENGLAND. 336 burials total. Sinai Synagogue was founded in 1944. For some time the community met in a variety of halls and front rooms of private houses in the Chapeltown area of Leeds, eventually moving proudly to its purpose-built modern synagogue on Roman Avenue, Roundhay, in 1960. As the membership grew, this building was extended in the mid 1980's and it now has a function hall, a library and classrooms as well as the main synagogue. 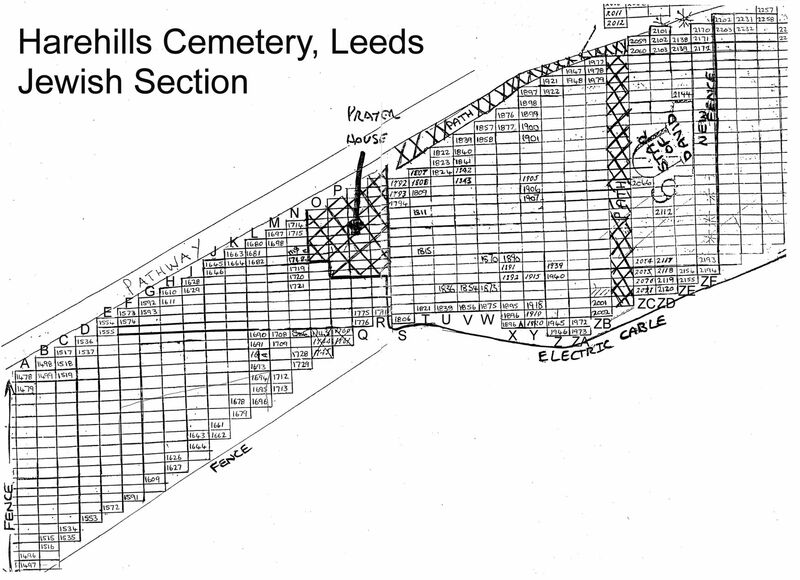 In the early 1960's a plot of land for a cemetery was made available for the Sinai (Reform) congregation at the Harehills Cemetery, Leeds which is managed by Leeds City Council and this remains in use to this day.